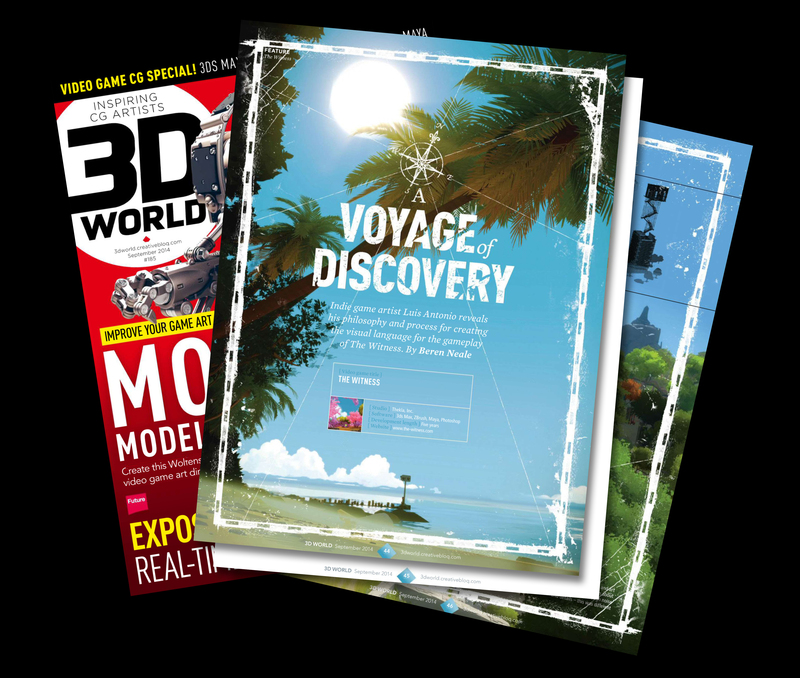 The new 3D World magazine is now on sale and this number is focused on independent game developers. I was lucky enough to be featured, with a 6 page article about my career so far as well as my work on “The Witness”. Since this month’s magazine is dedicated to Indie developers they also have a section about 3d artists that are working on their own projects…something I am doing! So they have shown the first ever released screenshot of my game. Still a prototype but a game nonetheless! I’ve been working on it hard during my free time for over a year, it’s called TWELVE MINUTES and you can check more about it here. 3D World, Art, interview. Bookmark.